What’s old is new again. That’s the beauty of an album re-release. Such is the case with Mayfield, which was a collaborative project by Curt Smith in 1997. Here’s some history of this album. Most know Curt as a member of Tears For Fears. During his ten year hiatus from the band, he met up with Charlton Pettus and they wrote some songs and created a band. What came out of it was ten tracks that had a familiar TFF sound, mixed with a creative pop that flows quite well. The main single that alternative radio played was “What Are We Fighting For” which is a strong lead off track that’s equally catchy. But as with some albums, this one went out of print. I was lucky enough to have had a CD of it, but at some point in the last 14 years, that CD is no where to be found. Lucky for me, I can remedy that. Starting tomorrow – November 15th – the album gets re-released, with a bonus track. 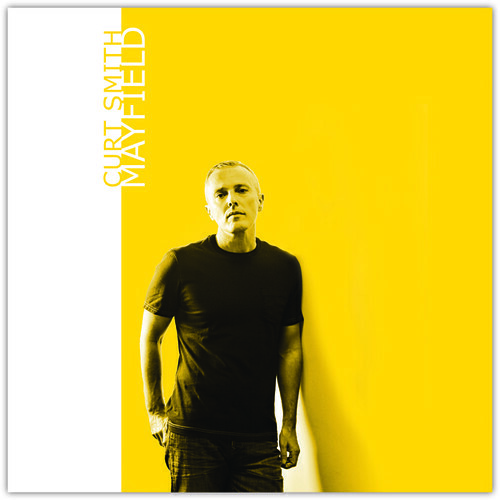 So if you are a fan of Tears For Fears and especially Curt Smith’s solo work, I highly recommended getting this album. Click on this link to open a page with links to download the album from Amazon, iTunes, Bandcamp and other sources. I’m a big TFF fan and have seen them twice in concert many moons ago. For whatever reason I’ve never even listened to any of Curt’s solo stuff. Will have to remedy that. I think you would enjoy his solo work. This Mayfield album is a good start.